The WhiteRock Family Digital Art Gallery is a continuing work on the collection of famous paintings by great artists. 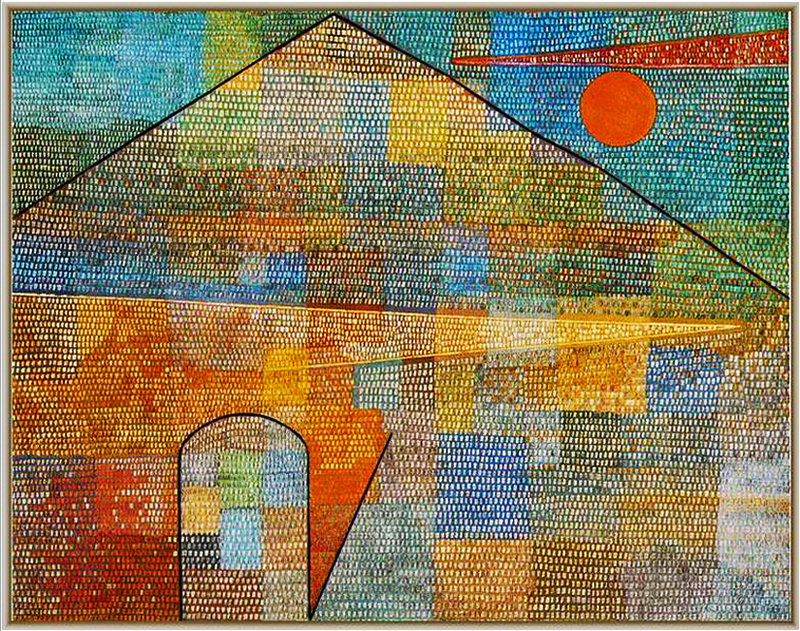 It is intended to inspire and educate aspiring artists, encourage an exchange of constructive ideas on the arts, develop a sustained interest among arts hobbyists and provide a wholesome and pleasurable pastime among members of the Petralba Family (petra, Spanish for “rock”; alba, Greek for “white”) and their relatives by blood and affinity and endeared friends everywhere. greatest artists of the Renaissance and beyond. creation of tasteful art. Along this line, different cultures also have different standards of defining what is "tasteful." over the selection of certain subjects that some individuals may otherwise find inappropriate. Art may be objective, but the process of selecting cannot be but subjective. Beauty lies in the eyes of the beholder. Welcome to The WhiteRock Family Digital Art Gallery. Click on the image to view on black background; the title of the work to go to the source. The name of the artist and location of work link to sources of more information. 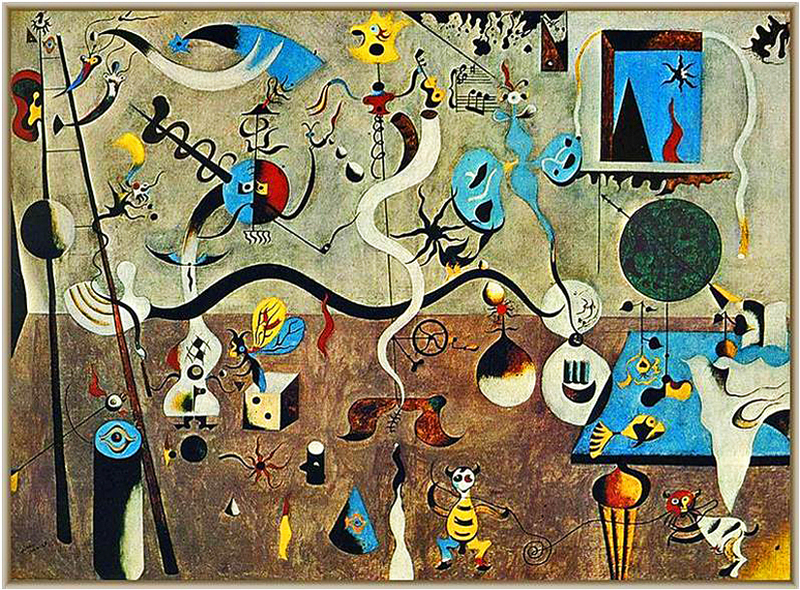 outstanding surrealist paintings of the artist, and it is preserved in the Albright–Knox Art Gallery. the title of the painting may refer to Mardi Gras, the celebration that occurs before the fasting of Lent begins. these two sources he draws on his imagination to create magical elements in his paintings. experiences, because at this point in his life he did not have much money for food and was on the brink of starvation. some object, character, or shape, which makes the entire painting come to life. classical antiquity clustering around an austere tomb. The translation of the phrase is "Even in Arcadia, there am I". 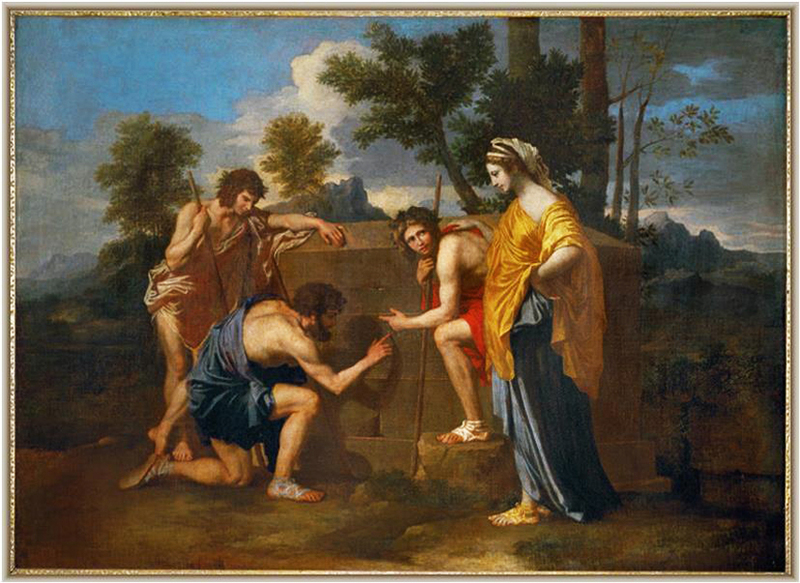 the Hellenistic era, Arcadia symbolized pure, rural, idyllic life, far from the city. Eclogues take place in Arcadia), it became idealized as a blissful pastoral paradise, and a symbol of perfect happiness. often depicted in art), arriving at the shore. by lines radiating from his mouth. He is in the air, and carries a young female, who is also blowing, but less forcefully. efforts are blowing Venus towards the shore, and blowing the hair and clothes of the other figures to the right. is the Hora of Spring. Cyprus, both Mediterranean islands regarded by the Greeks as territories of Venus. run down into her arms in the same unbroken stream of movement as her floating hair." the world of the imagination rather than being very concerned with realistic depiction. 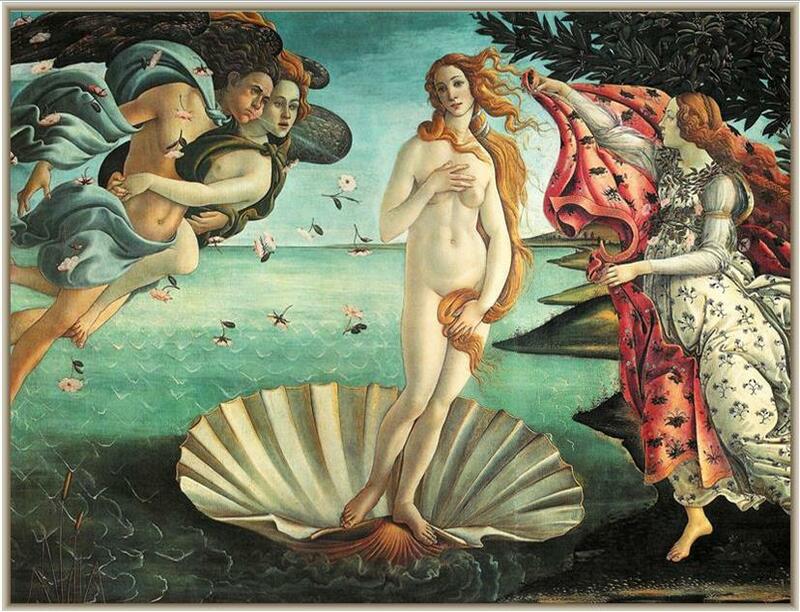 Boticelli, The Birth of Venus, video from Smarthistory. Art, history, conversation on YouTube. Painting in the World" by the art historian Kenneth Clark. carefully researched by the artist. 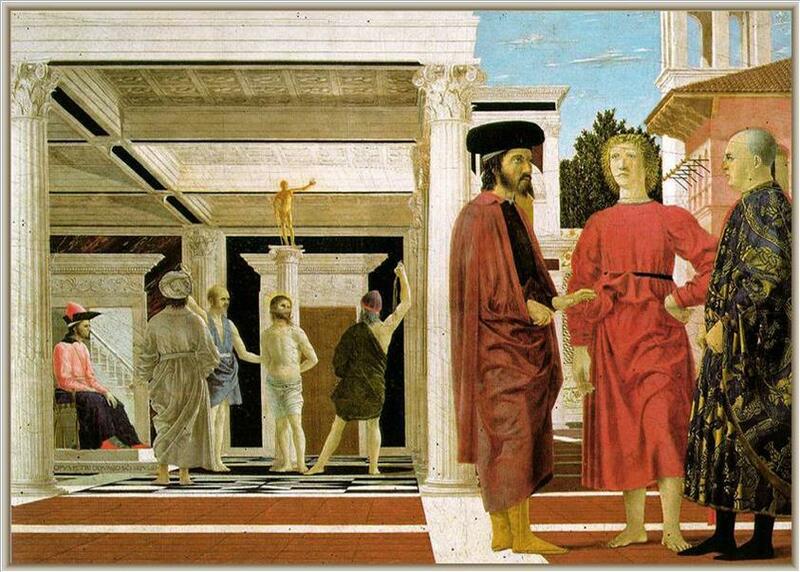 Meditation on 'The Flagellation of Christ' by Piero della Francesca from Philip Hartigan on YouTube. 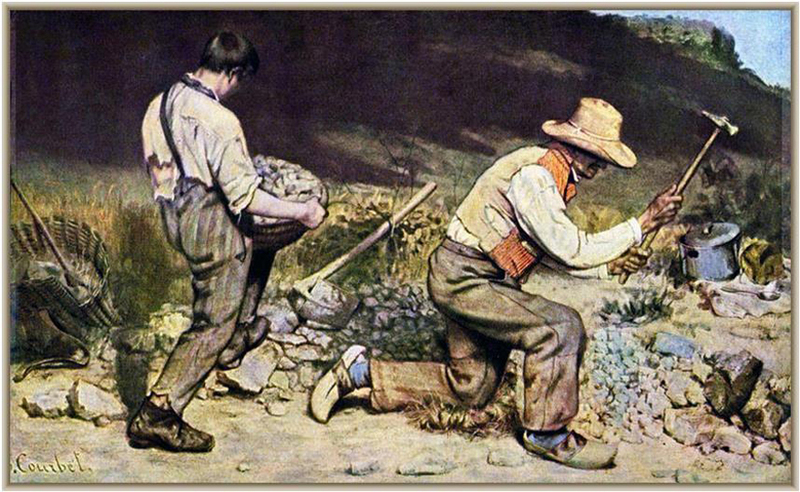 The Stone Breakers was a work of social realism, depicting two peasants, a young man and an old man, breaking rocks. bulldozers, such work is reserved as punishment for chain-gangs. as brushwork, composition, line, and color. highly polished, refined Neoclassicist style that still dominated French art in 1848.
receive the most attention. Traditionally, an artist would spend the most time on the hands, faces, and foregrounds. Gustave Courbet's The Stonebreakers video from Courtneydougherty1 on YouTube. Please share us using any of the buttons below. passengers. 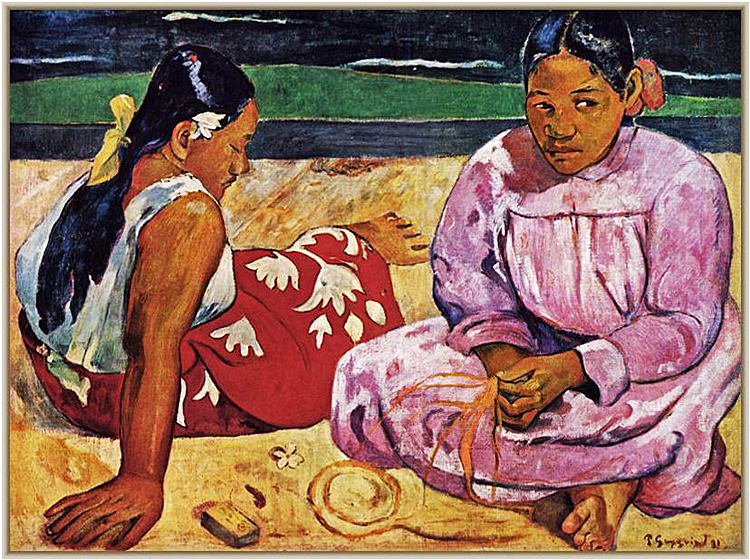 Gauguin was on his way to “escape the European struggle for money - to be "free at last." start a basket. Like the woman on the left, this woman doesn’t interact with the viewer. Her gaze goes beyond. proportions, faces that can resemble masks, and colors separated by dark outlines. unoccupied by anything, while the other faces the viewer, performing one of her daily duties, weaving the basket. Like the women, we have calmness in the lagoon and movement in the sea. he almost immediately found and started painting the melancholy of the women and the colonial influence. as “unmixed joy”. 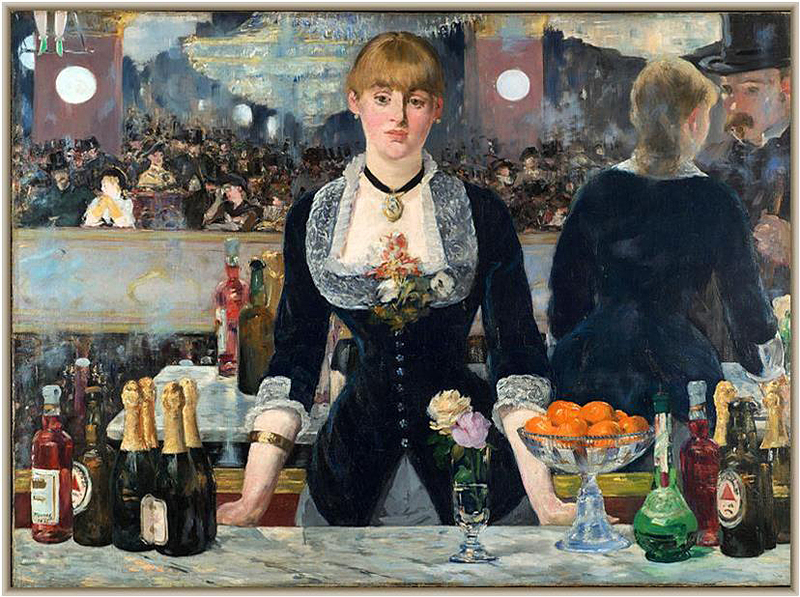 In contrast, the barmaid in Manet’s representation is detached and marooned behind the bar. central point of view usually assumed when viewing pictures drawn according to perspective. considerable development of this topic since Michel Foucault broached it in his book The Order of Things (1966). Manet's A Bar at the Folies-Bergère video from zczfilms on YouTube. his well-known creation I and the Village painted in Paris in 1911.
painting that provides multiple viewpoints and distinctive perspectives. down. The whole could be viewed as a jigsaw puzzle extracted from a child’s imagination. playing what appears to be a violin. 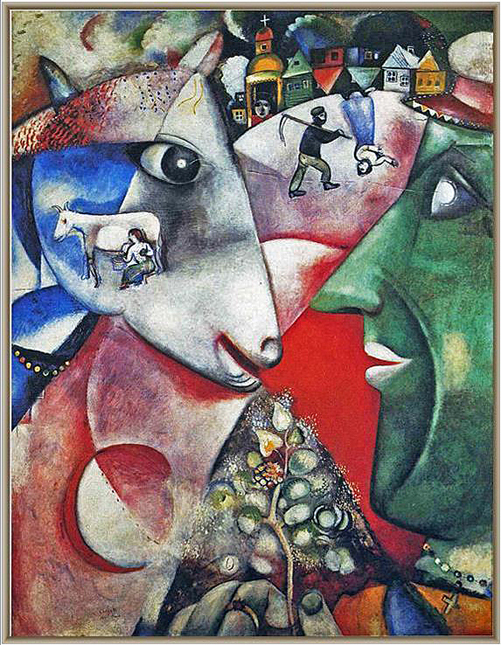 credited to Chagall's childhood memories becoming, in the words of scholar H.W. Janson, a "cubist fairy tale"
of "the golden age" of humanity, and therefore the figures are not real people but imagined image-symbols. meaning of the dance, expressing man's subconscious sense of involvement in the rhythms of nature and the cosmos! 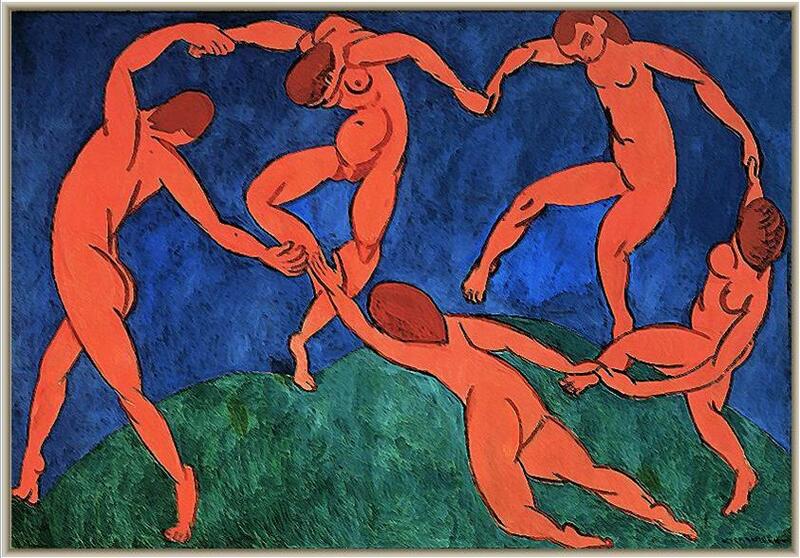 expressiveness, Matisse's "The Dance" has no superfluous emotion, other than that required by the subject. below, but it gives little impression of duality. The upper and lower sections are brought together compositionally. dazzled eyes of those present. refurbish the Count's burial chapel, is portrayed in the painting reading. of portraits of the most eminent social figures of that time in Toledo. apostles, martyrs, Biblical kings and the just (among whom was Philip II of Spain, though he was still alive). the mourners immediately above the head of Saint Stephen. (“Heaven”) above and the impressive array of portraits represent all aspects of this extraordinary genius's art. 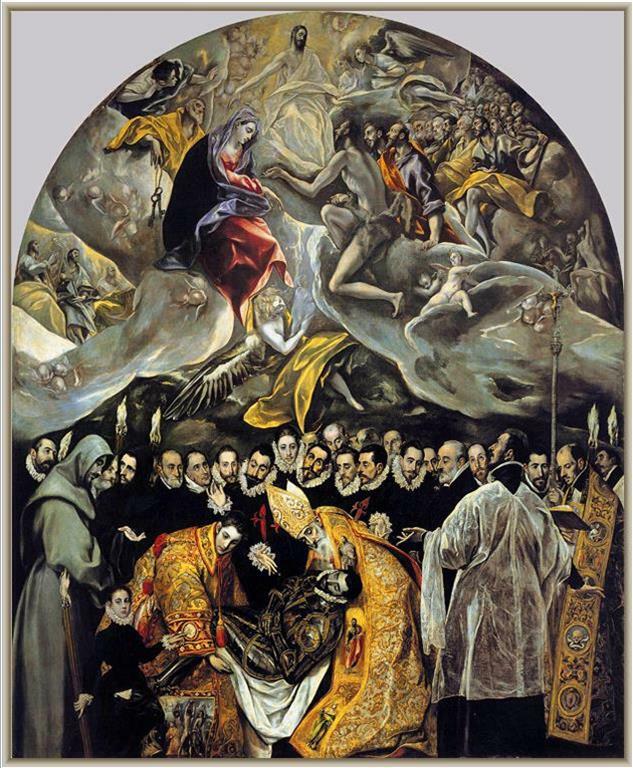 The Burial of the Count Orgaz by El Greco video by Anna Klimenko on Daily Motion. 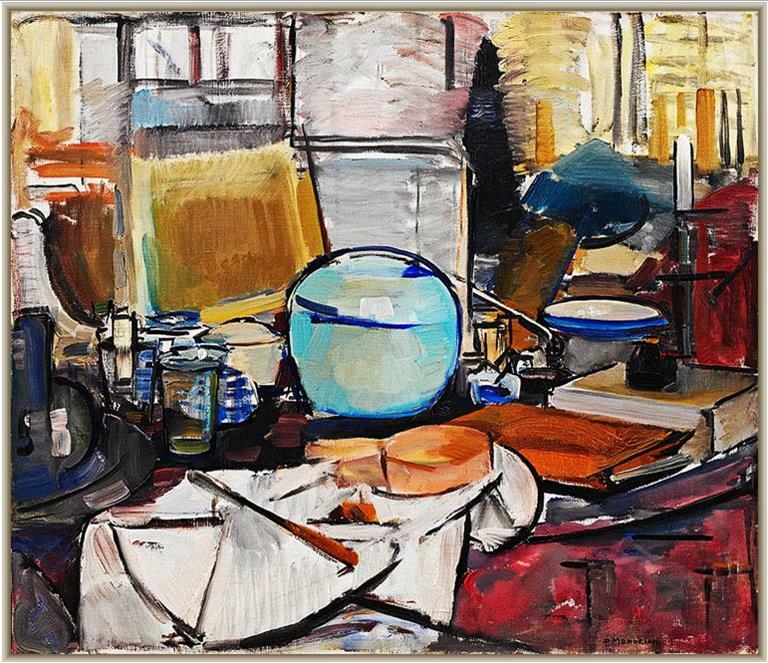 coherent integrity of the components of the still life such as the glass and saucepan. Still Life with Gingerpot II takes the artist’s first depiction of this motif to a much greater level of abstraction. The Complete Works of Piet Mondrian from Tuen Tony Kwok on YouTube. 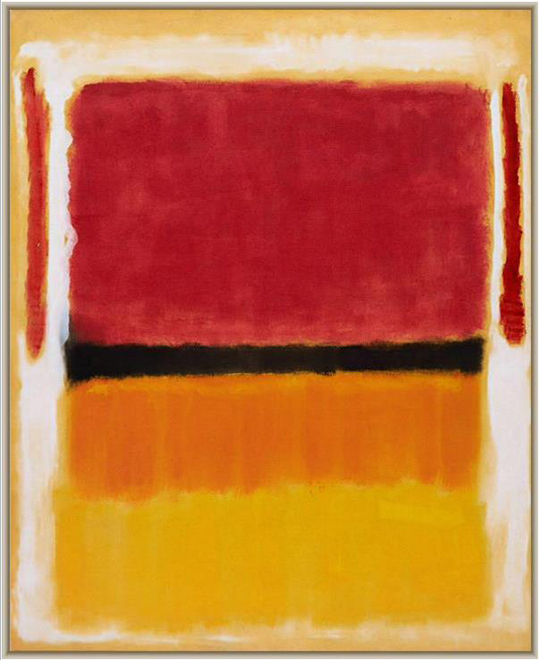 months later, led Rothko to sever his ties with religion. in the direction of his renowned later works. 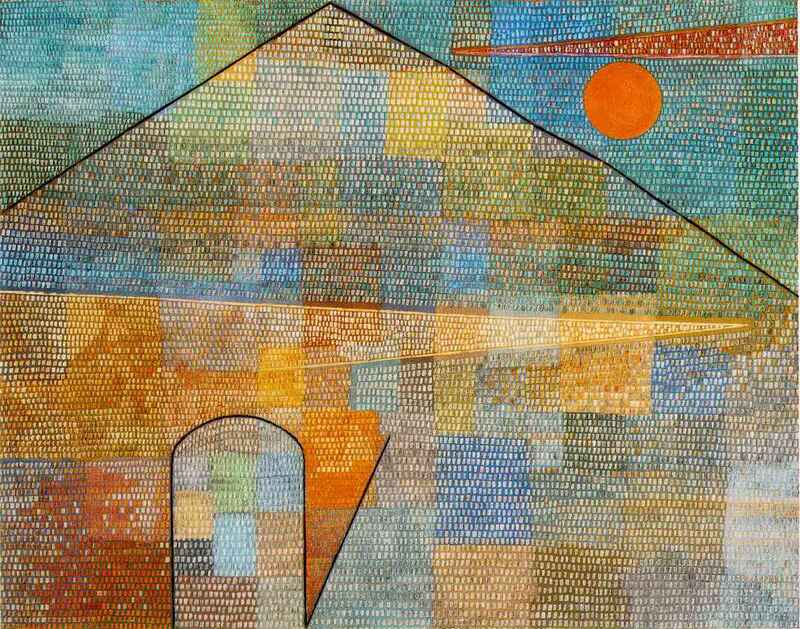 create an art of awe-inspiring intensity for a secular world. monumental religious or landscape painting. internationally. 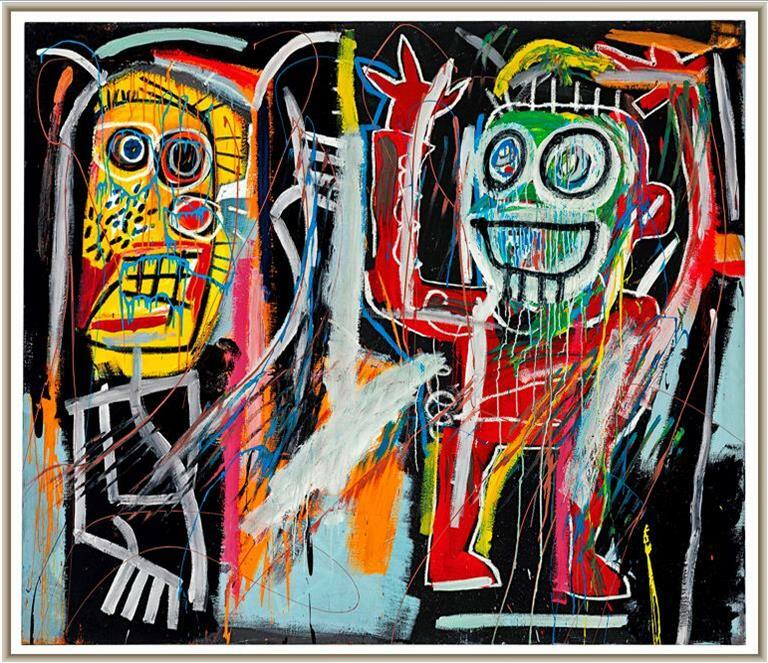 The Whitney Museum of American Art held a retrospective of his art in 1992.
language that came to define a generation and one that is still heard loudly today. Previous section, please, Next section, please.